Companies today place a great deal of data on various data storage devices which is crucial for successful day to day running of their business. If that data becomes inaccessible through corruption or damage of the device that it is stored on or through incorrect formatting, logical damage or even deletion, it can cause huge problems and therefore needs to be recovered and this is where data recovery can help. Data recovery is the act of retrieving or salvaging lost, deleted or inaccessible data from whatever device it has been placed on and this can be done by using various methods depending on how the data was lost in the first place. For instance, if physical damage has occurred to a hard drive (the motor has broken for example) typical end users do not have the equipment or the expertise to open up the hard drive and repair the problem. Opening a hard drive in a regular environment can cause dirt and dust to settle in between the read/write heads and the platter which can cause even more problems and this is why using the services of a data recovery specialist is the best option if you want to preserve the data on a hard drive. Data can also be lost through logical damage which can occur if there is a power cut and data cannot be successfully written to a storage device. Similarly, if the system crashes logical damage can also happen, difficulties with hardware and drivers also cause this type of damage which can often appear to be fatal. When logical damage does present itself it will leave the files on the device in an incomplete state which will render it useless. 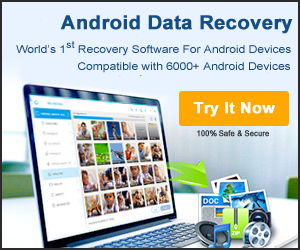 As a result, it can only be accessed by using data recovery techniques. Data recovery can also be of use when vital data is accidentally erased or overwritten by the user, this can cause huge problems, especially for large companies who rely on their data base collection to provide them with the information needed to operate successfully. When data is erased it is not actually deleted from a device, instead it is just the index that is used to point to the file’s location that is wiped – so the actual file is still intact. Files can only be totally erased if they are overwritten by other work performed on the device, so it is important that if data that is vital becomes erased a data recovery specialist is contacted immediately. Data recovery is not just for the use of large companies & businesses. Individuals can also require the services of data recovery specialists to recover missing data from their personal PCs and storage devices. Data recovery is also used by the police and other agencies to obtain data and information from devices such as hard drives when crimes involving computers have been committed. In short, if data either goes missing or is inaccessible on any type of storage device due to damage, corruption, deletion or formatting data recovery can help to restore this back to its former state.